Let us be your provider of VoIP and SIP media based solutions for your embedded, soft client and server applications. 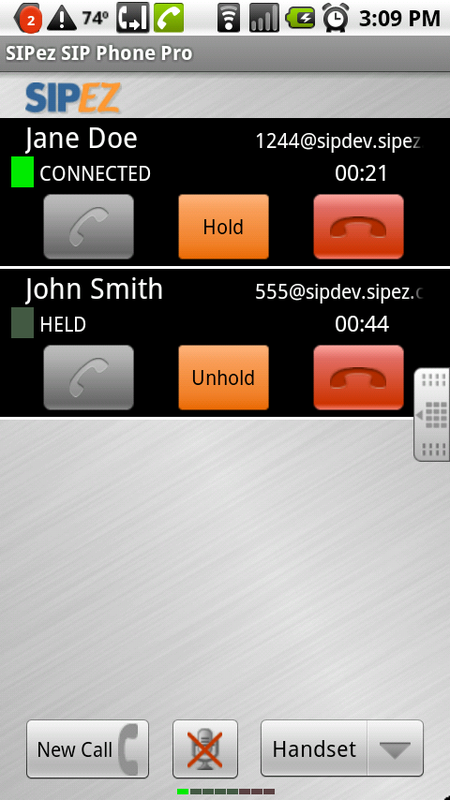 SIPez is now shipping SIP client applications for the Android operating system. 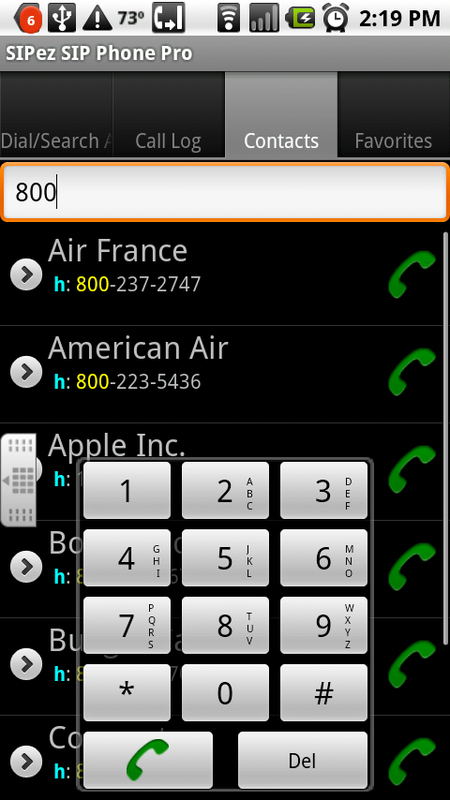 These applications allow Android device users to make SIP phone calls over the data network as opposed to using the cellular voice network. SIPez offers standard off-the-shelf applications as well as provides branded, customized or OEM solutions that fit your specific needs. 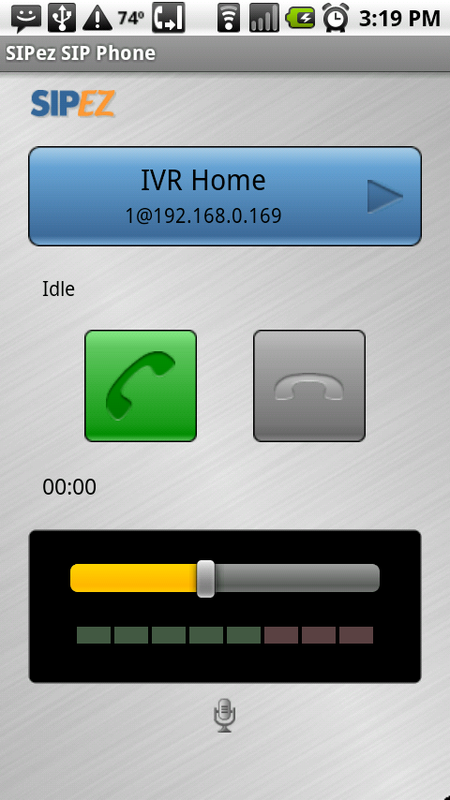 Libraries and APIs are also available to SIP or VoIP enable your existing Android application. 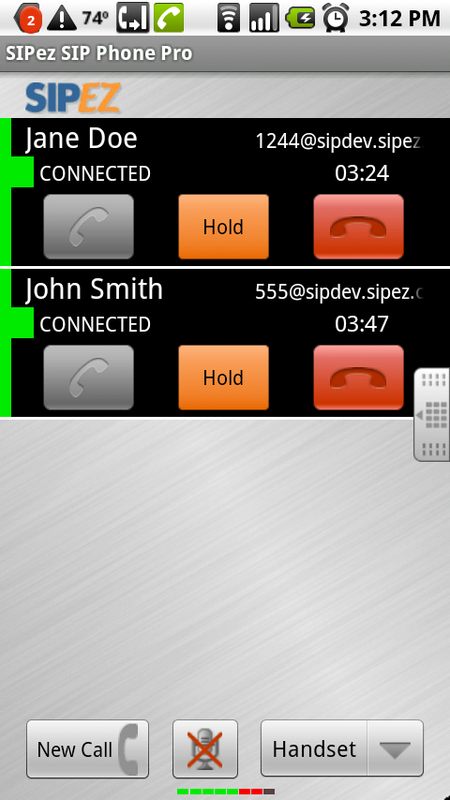 SIPez is expert at embedded systems development and can provide a solution for your custom Android hardware. Better audio quality than PSTN or wireless mobile phone calls with HD Voice and SIPez's premium audio processing engine (SME).